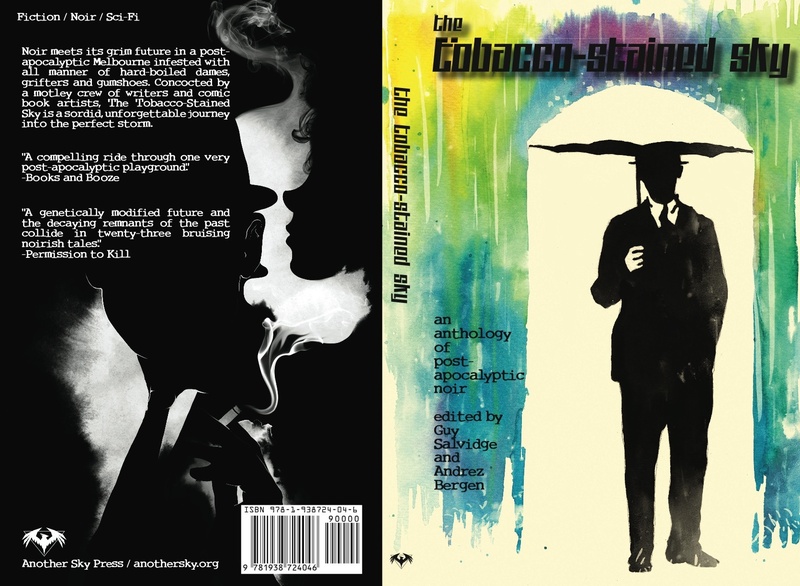 Like a fine drop of wine filtered into a dusty bottle stuck down in a dark, dim underground bunker, we’ve been brewing—er, cellaring—the anthology The Tobacco-Stained Sky for over a year, and now (at last) the beastie has been published! 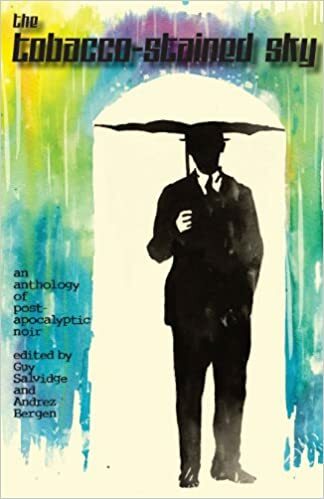 Guy Salvidge (the other editor) and I are truly proud of this little number, which basically touts itself as a collection of short stories and comic book vignettes addressing post-apocalyptic noir. 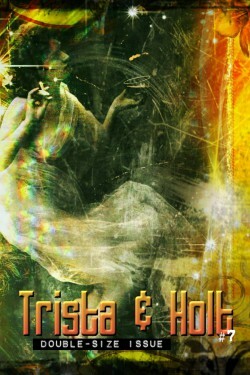 It’s also a journey back into the realm created for my novel Tobacco-Stained Mountain Goat (the rain washed near-future dystopia of last-city-on-Earth Melbourne), and if you want to brush up on that first, Another Sky Press are offering the epub/PDF versions for free—just hit here and scroll down the page. Floyd and Laurel, along with Hank from that book, make guest appearances in TTSS, along with a bevy of other hard-boiled dames, grifters and gumshoes. Gerard Brennan, Josh Stallings, Gordon Highland, Chad Eagleton, Chris Rhatigan, Paul D. Brazill, Julie Morrigan, Liam José, Tony Pacitti, Nigel Bird, Chad Rohrbacher, Jay Slayton-Joslin, Devin Wine, Guy Salvidge, Kristopher Young, and myself. Me, Matheus Lopes, Michael Grills, Marcos Vergara, Harvey Finch, Nathan St. John, Drezz Rodriguez, and Andrew Chiu. Check it out now if you have time/inclination as it’s an absolute romp. While my new novel Who is Killing the Great Capes of Heropa? 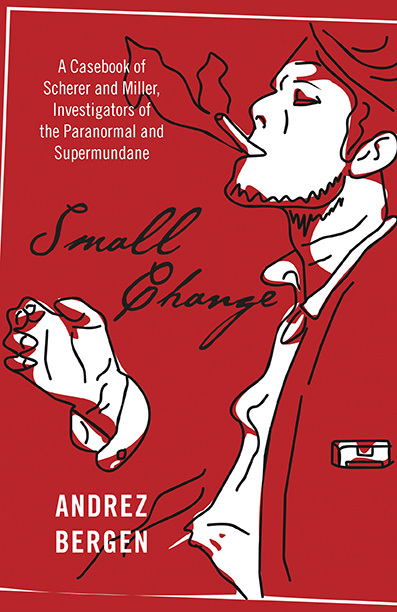 is not yet officially published (that’s supposed to be happening on September 27th, but it’s out through Amazon USA and Amazon UK early), it’s been getting some absolutely cool critical feedback (whew! ), such as these reviews by Josh OzNoir @ Just a Guy That Likes To Read, Pat Curley @ Silver Age Comics and another at Ain’t It Cool News. I also had a chat with Josh OzNoir on his site about Heropa, The Tobacco-Stained Sky, and a new comic book I’ve been working on (see below). Pushing the novel means I’ve also been able to do a few articles on various related/unrelated topics (always a lark). I’ve just started a weekly gig at ThunderDome magazine for the month of September in which I wax self-indulgent about the best-ever comic book superhero, the worst, the greatest villain, and the lamest. Part 1 (feat. The Thing) is here. 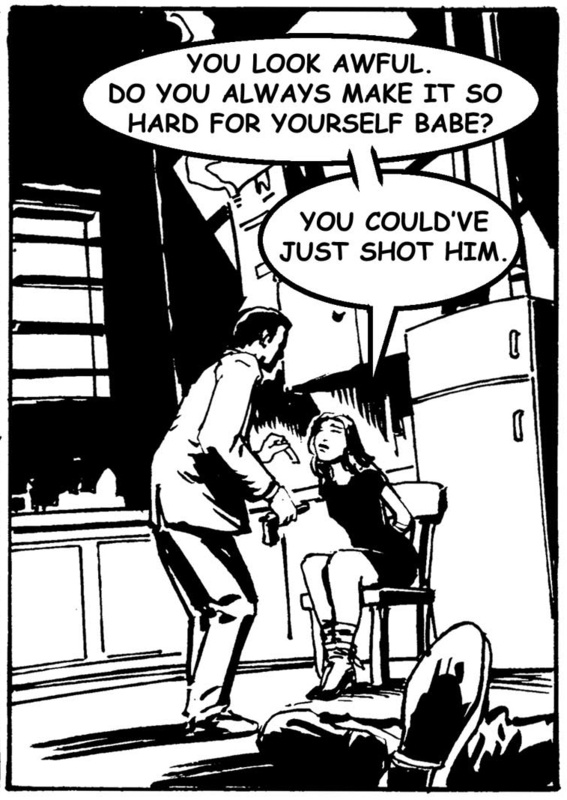 The cools cats @ Civilian Reader allowed me to mull over the synchronicity between noir and sequential art (a.k.a. comics) here, while at Geek Magazine I brushed up on my insider-trading to reveal some of the Easter eggs, references and winks to comics, movies, books and people that filter through the pages of Heropa. Another rambling yarn that vaguely relates to dialogue versus world-building will be up on Elizabeth A. White’s site this Friday (ta, E!). We’re incredibly pleased to be releasing our third Andrez Bergen title — the massive, illustrated superhero, sci-fi, noir, video game love-fest called WHO IS KILLING THE GREAT CAPES OF HEROPA? This isn’t the easiest book to market. 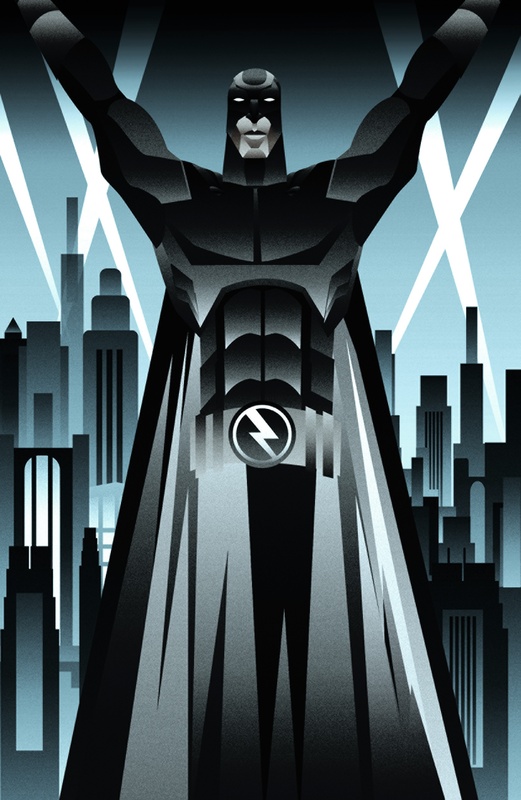 If we tell you it’s a blend of detective fiction and sci-fi, you might like it — but it’s also about superheroes, which you may think isn’t your thing (it wasn’t the publisher’s thing, either, or so the publisher first thought). We could say it merges The Matrix with Inception (it does) and involves a lot of comedy. 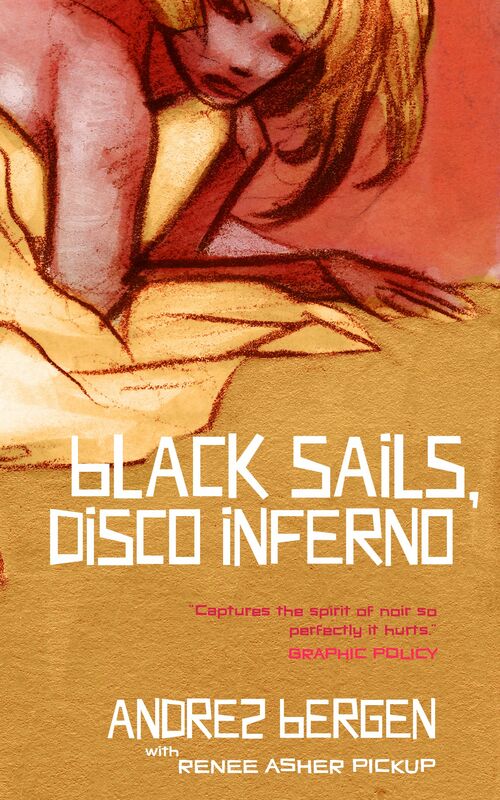 That would be true — but we can’t leave out the noir, the illustrations, the stuff that video game geeks would love, the allusions to all sorts of old classics (starting with the title itself). So let’s just leave it at: It’s a million genres blended into one, and somehow it’s done just right. …which were nice sentiments to read, obviously, no doubt the handiwork of the very suave Phil Jourdan, who runs Perfect Edge and has been incredibly supportive all the way. 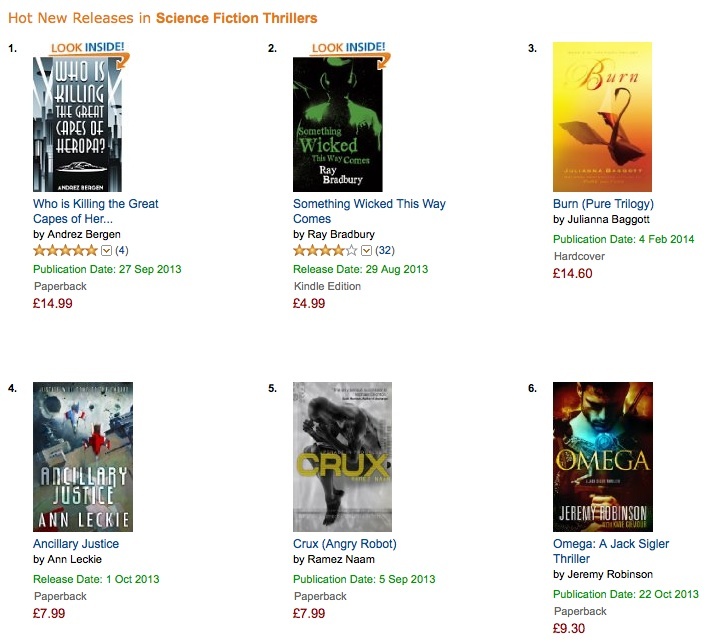 Back in late August Heropa hit #1 in the paperback Hot New Releases in Science Fiction Thrillers @ Amazon UK (admittedly pipping a 60-year-old title!) and it was #14 in Amazon USA’s Best Sellers in Mystery Graphic Novels section, just nudging Sin City and 100 Bullets for a very short time. Hopefully this does well for Perfect Edge, not just to back-slap them for their support—but I actually do really like this story! Anyway, I did mention comic books above. 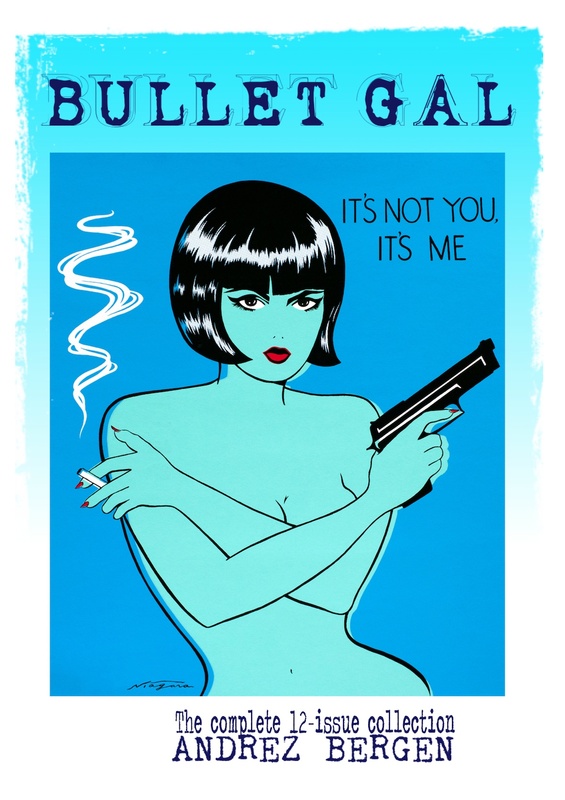 Over the past couple of months I’ve been collaborating with fellow Melburnian Matt Kyme (That Bulletproof Kid) and we’ve just finalized our baptismal, full-colour 25-page comic book together. 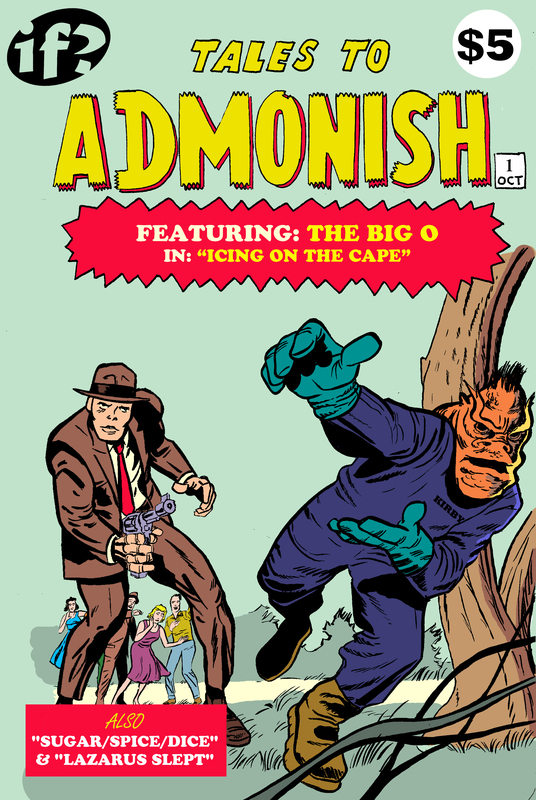 It’s titled TALES TO ADMONISH #1—yes, it is a cheeky reference to the Marvel comic Tales to Astonish that ran from 1959 to 1968, and in fact we’ve gone on to homage not only (obviously from the cover) artist Jack ‘King’ Kirby but the Golden Age of comic books as well… in a relatively surreal post-modern manner that further riffs on famous art and winks at Buffy, James Ellroy, and Kolchak: The Night Stalker. BTW, yes—that is the old 1995 IF? logo on there. Created for IF? Records initially, we printed up 5,000 stickers and it’s appeared in all my stories to date. So Matt and I decided to extend its presence into the comic book biz. We’re launching the printed up zine in Melbourne @ All Star Comics from 1:00pm on October 5th (see details here) alongside the dual release of excellent local comics Divine Comedy and From Above, so the gig will no doubt be an absolute hoot. But sadly when I say “we” I mean the other comic book creators. I’ll be stuck over here in Tokyo twiddling my thumbs. There in spirit(s), mates.